That tip inevitably ranks high in the typical Top N list for teaching kids good money habits. Sure, setting a good example is an excellent thing to do as a parent, but the advice makes me cringe in this case for two reasons: complacency on the one hand and paralysis on the other. No two families are exactly alike when it comes to teaching kids about money. It’s one of those parenting topics that can stir some deep emotions, strong convictions, and raging debates. 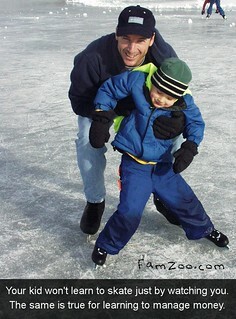 That’s why we’re so careful not to push any specific financial approach or agenda at FamZoo.com. If you have a desire to teach your kids “good” money habits (where you get to define what “good” means), then we’re here for you. We’ll make it more convenient, hands-on, and engaging to translate that desire into sustained action. We give you a big box of helpful tools, and you pick the ones that make the most sense for your family. Unfortunately, choosing from a big, open toolbox can leave many families a bit stymied. Parents ask us: “Which tools are best for my family? How do I use them and when?” Each family is looking for a money teaching recipe that matches their tastes — something they can pick up and run with immediately. The problem is: how do we figure out what those tastes are? One way is to have a family identify their favorite “money chef” — a personal finance luminary who promotes a specific system or approach. Once we know the desired recipe, it’s easy to suggest the right tools to get the job done. One undeniably popular personal finance icon is Dave Ramsey. Dave has a huge following and has produced several offerings that deal specifically with teaching kids good money habits. 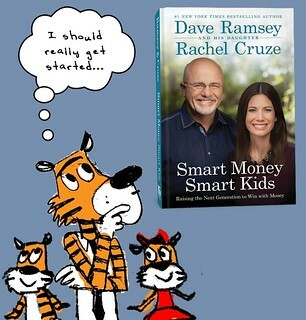 In fact, he and his daughter, Rachel Cruze, are weeks away from releasing a new book that pulls all of their youth financial education advice together in one place. It’s called “Smart Money Smart Kids.” I’ve been reading pre-release chapters of the upcoming book. It’s very thoughtful and well written. I’m confident that all parents — even those who don’t count themselves among the Dave Ramsey flock — can find something valuable in the book to apply within their families. At minimum, reading the book will force you to think through how you are teaching (or plan to teach) your own kids about money. That’s useful all in itself. Adapt and apply the ideas you like, ignore the ones you don’t. Over the next several weeks, I’ll be posting my favorite points from each section of the book. When relevant, I’ll describe how FamZoo can be used to support those concepts. by Bill Dwight on Friday, March 14, 2014 at 6:08 PM | LEAVE A COMMENT! 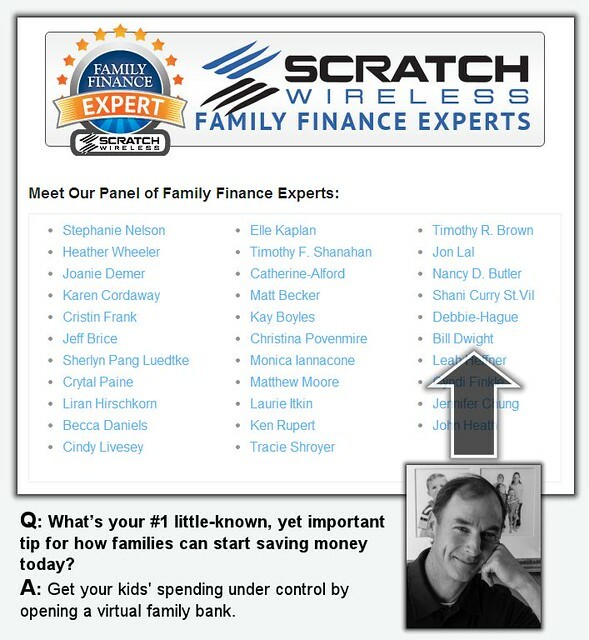 What is your number one little known, yet important tip for how families can start saving money today? That was the question posed to family finance experts recently and featured in the article 32 Family Finance Experts Reveal Their Top Tips for How Families Can Save Big Money.